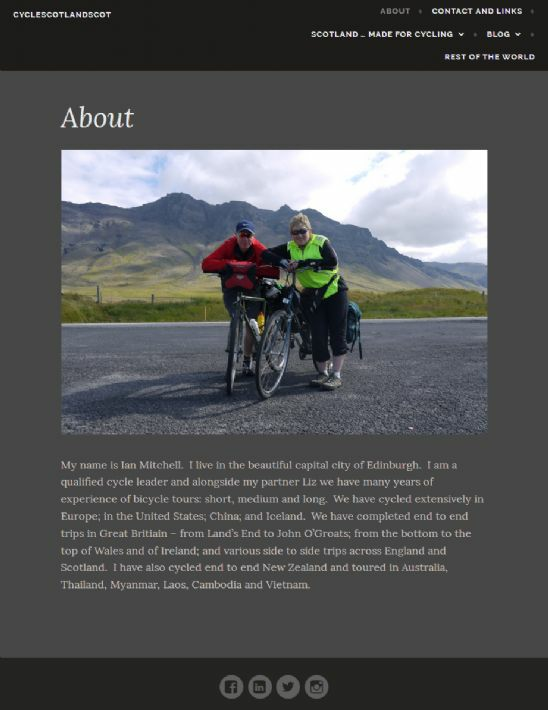 Ian says on his website, "I have travelled a fair bit in the world by bicycle with my partner Elizabeth, but what we have on our doorstep is among the very best. Mountains, glens, idyllic islands and stunning coastline grab the headlines." Head over to his website to read the blog and view his photographs.